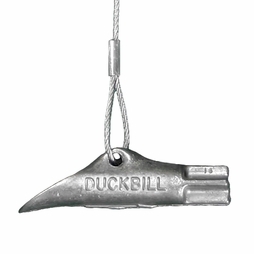 Duckbill anchors are simple yet effective. 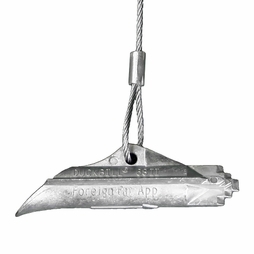 They work like a toggle bolt in soil. 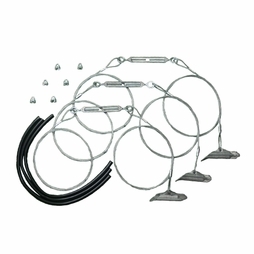 They are easily driven into the ground (with no holes, no digging and no concrete), providing a safe and environmentally sensitive installation. 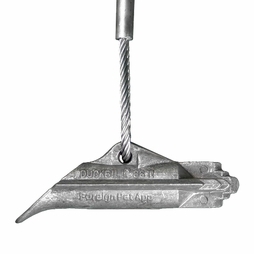 An upward pull on the anchor tendon rotates the Duckbill into a perpendicular “anchor lock” position in undisturbed soil (known as "setting" the Duckbill. 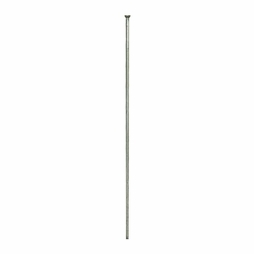 This results in superb holding capacities. 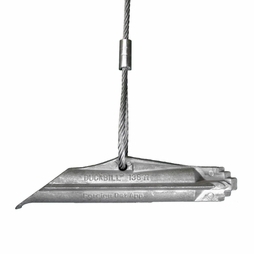 It is a very effective, lightweight and economical anchoring solution. 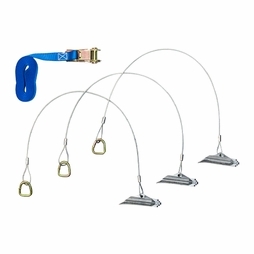 Ideal for arborists (tree anchoring and support), campers, outdoor events and many others.